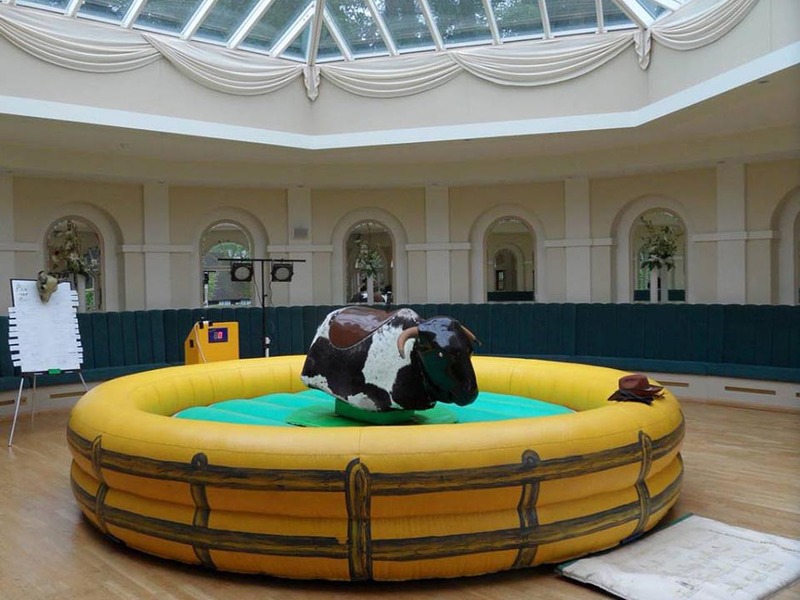 Rodeo Bull Hire Berkshire, Hampshire, Wiltshire, Oxfordshire & Surrey. A truly exciting attraction at any party or event. This attraction will leave your guests wanting more. We are available for birthday parties, summer parties, Christmas parties, corporate events, pubs, stag dos, hen nights, school fêtes, fairs or even weddings. The bull can be used inside or out. We can also supply an inflatable marquee in the event of wet or very hot weather. We offer a professional and friendly service from the time of booking to the time the last guest rides. 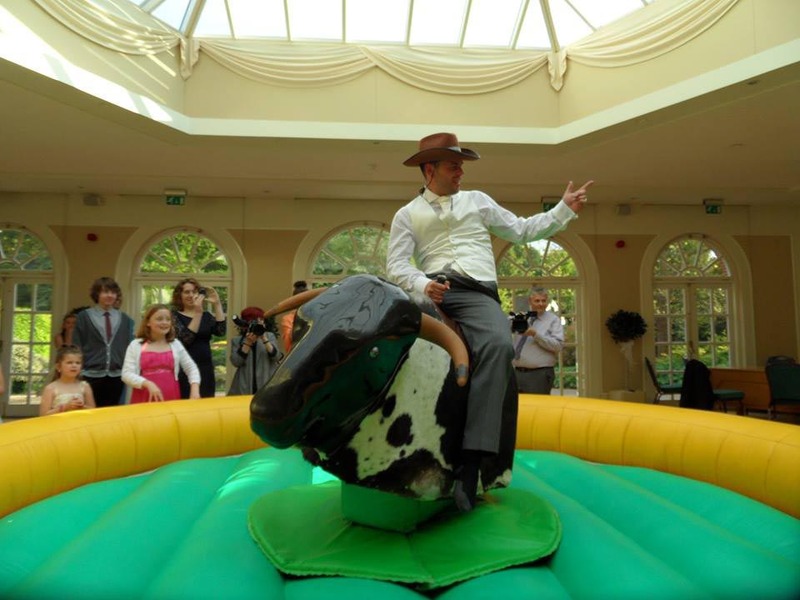 We deliver, set-up and operate the bull for you during your event, leaving you to enjoy the activities with your guests, safe in our hands. Each rider gets onto the bull and grabs hold of the rope, our operator will then start the bull at slow, gentle speeds. Then, as the rider gains confidence, the speed increases. A digital timer on our console shows how long a rider lasts. We can even have competitions to see who is the best rider. We charge £350 for a 3 hours hire period within 25 miles of Newbury Berkshire. FREE all weather lighting provided for night events. Safety is paramount at Dazzlin Events. 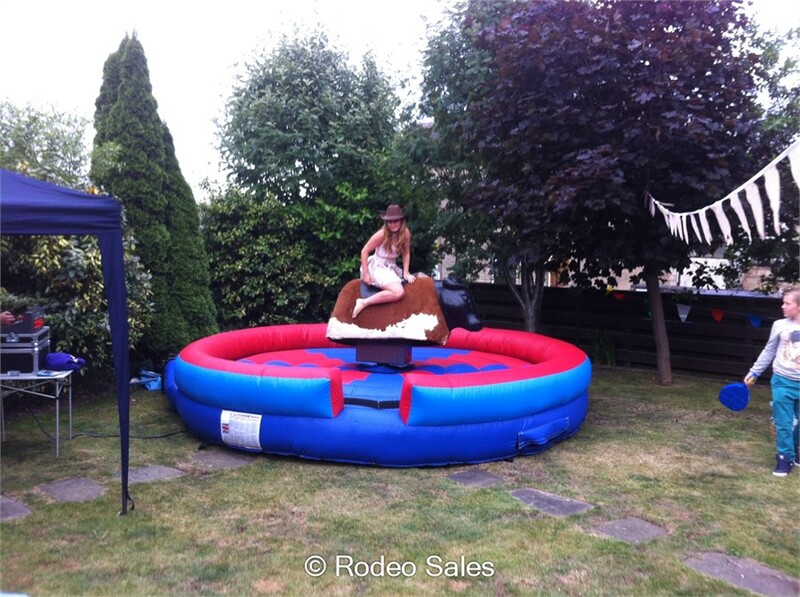 All of our Fun Experts have been given full training on the set up and operation of the Rodeo rides. The Fun Experts have full control of the ride from start to finish, it is controlled using an 8 way direction joystick and speed dials on the control station. Once a rider has fallen off the ride the joystick is released, stopping the ride instantly and preventing any risk of the rider being hit by a spinning ride. Please be aware the colour of the inflatable bed and bull design may vary depending on stock rotation.